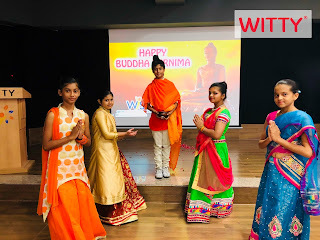 Buddha Purnima also known as Buddha Jayanti is the most sacred festivals of Buddhist. 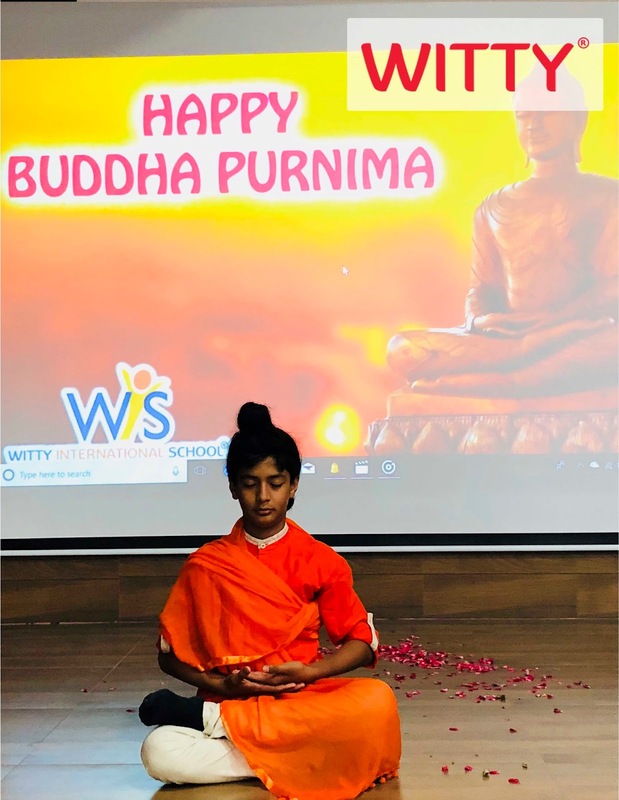 Buddha Purnima is celebrated in remembrance of Lord Buddha. 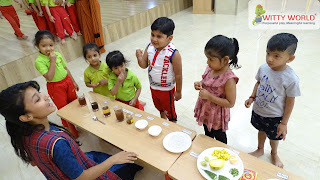 It falls on the full moon night in Vaisakha (according to hindi calendar that usually falls in April or May). 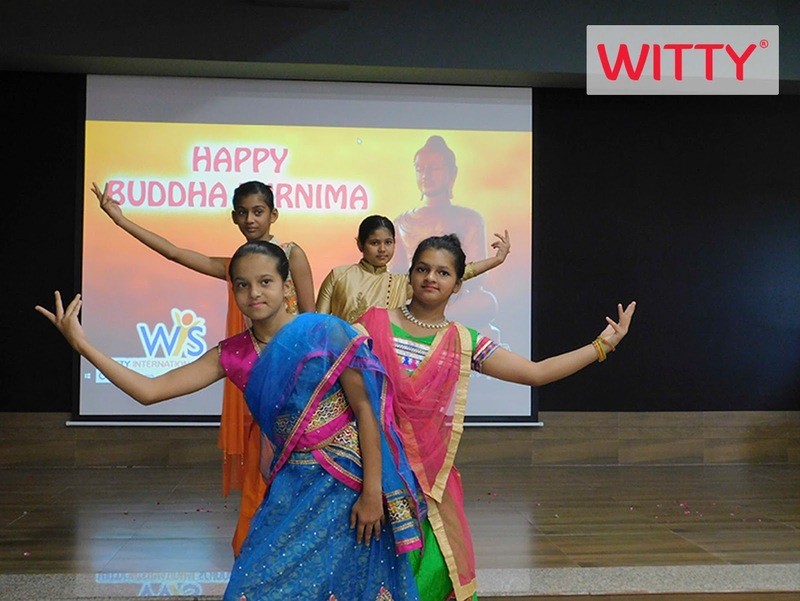 It was on Buddha Purnima that the three important events of Buddha's life took place i.e. 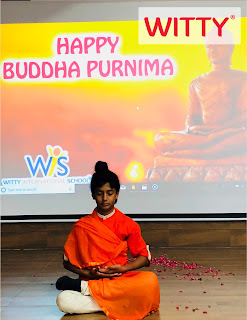 his birth, his enlightenment and his death (nirvana). 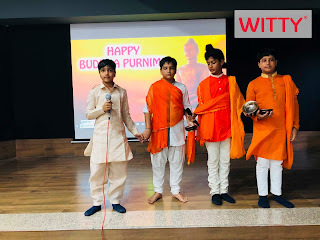 This holy festival was celebrated by students of Witty International School,Atun Road, Bhilwara on Monday,April 30,2018. Students of Grade VI presented a special assembly on this occasion. 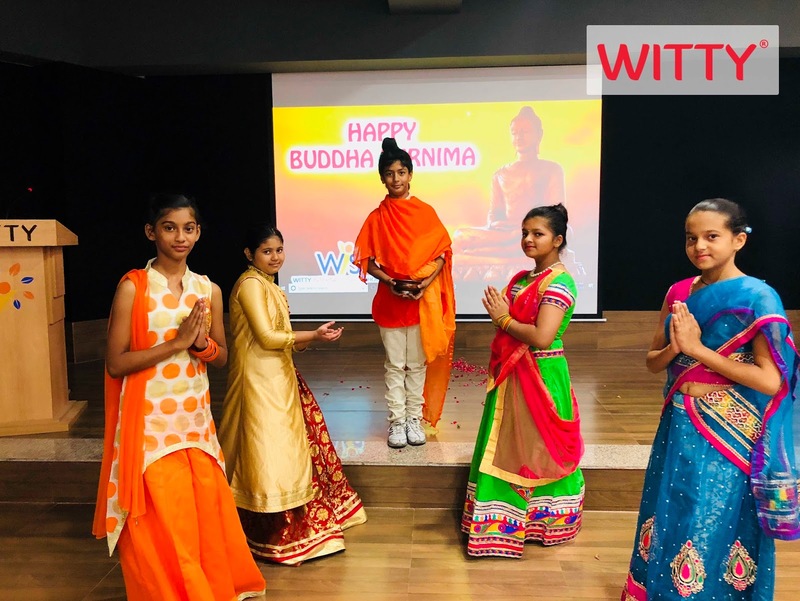 It included a speech that enhanced the knowledge of students about Lord Buddha, which was followed by an inspirational English skit that inspired students to get rid of their anger and stay happy instead. A holy dance to praise Lord Buddha was presented by girls. 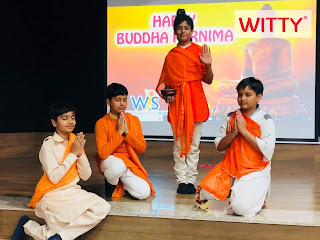 Students learned a lot from the assembly and were determined to follow the teachings of Lord Buddha. 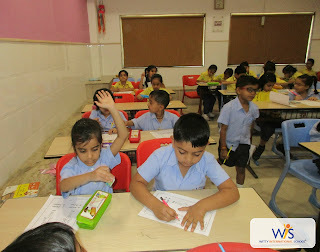 Children learnt about the summer season with the help of flash cards. 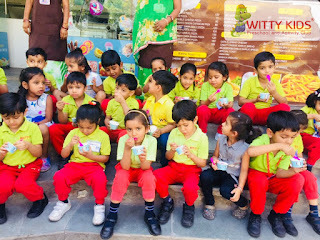 They learnt that we like to eat things that keep us cool . 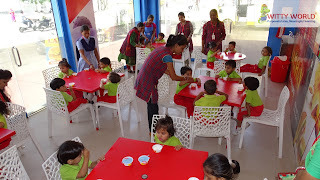 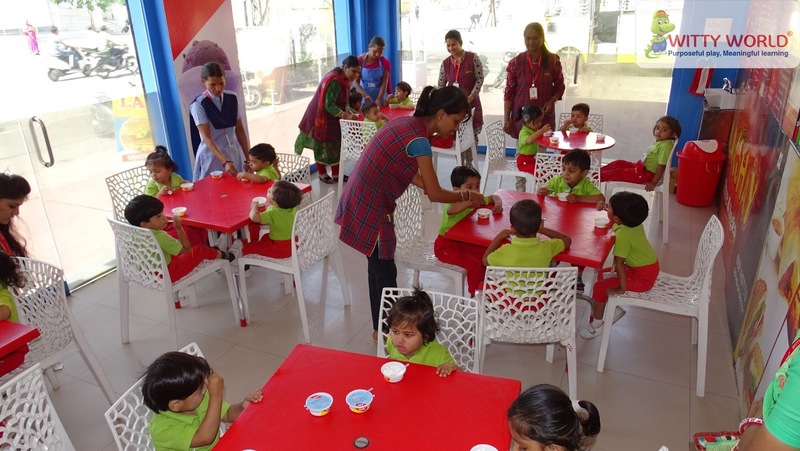 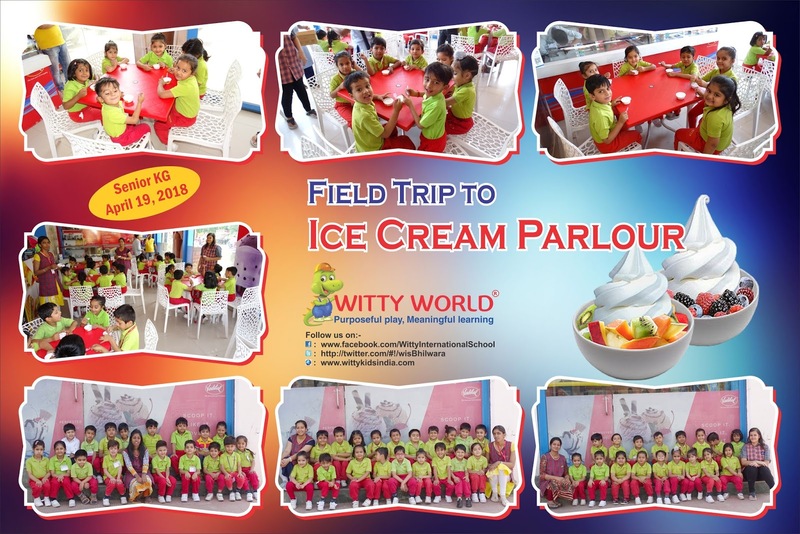 As ice-cream is the favorite eatable enjoyed by one and all, children went to ice-cream parlor and enjoyed eating it. It will keep you and me cool. 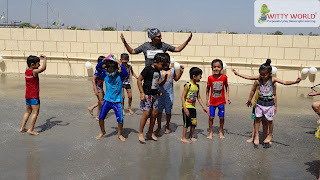 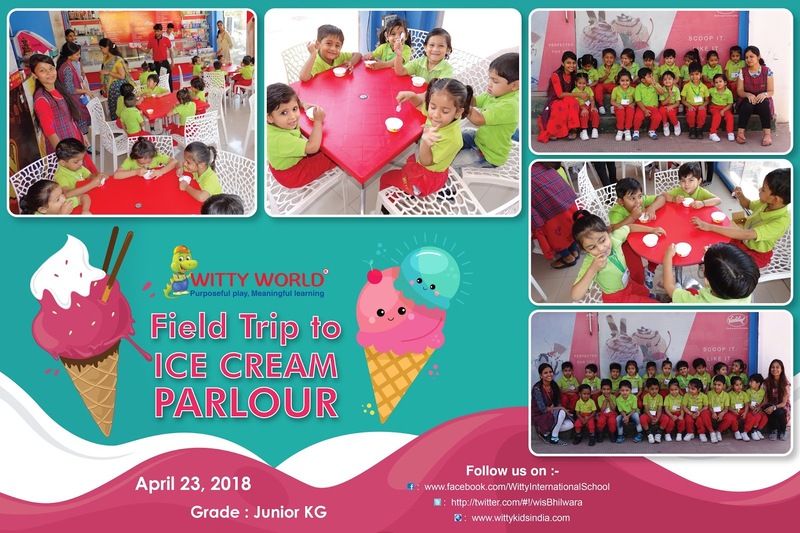 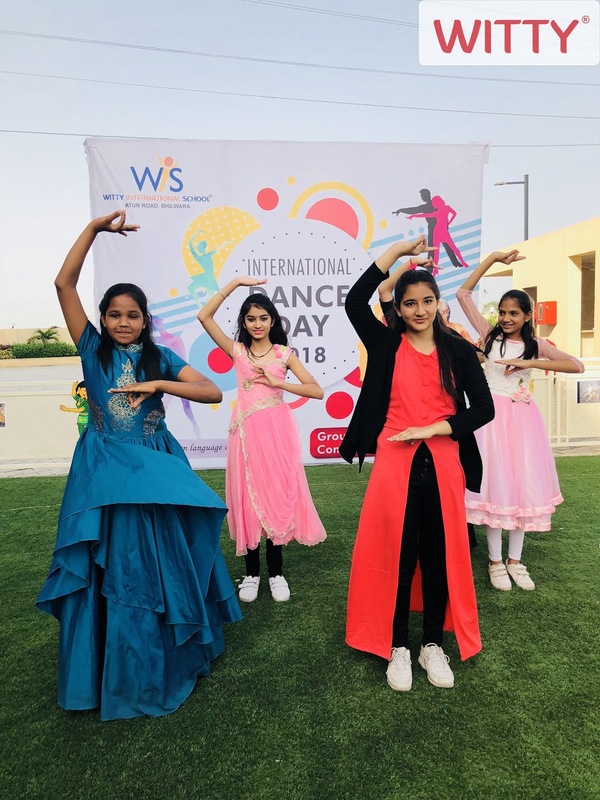 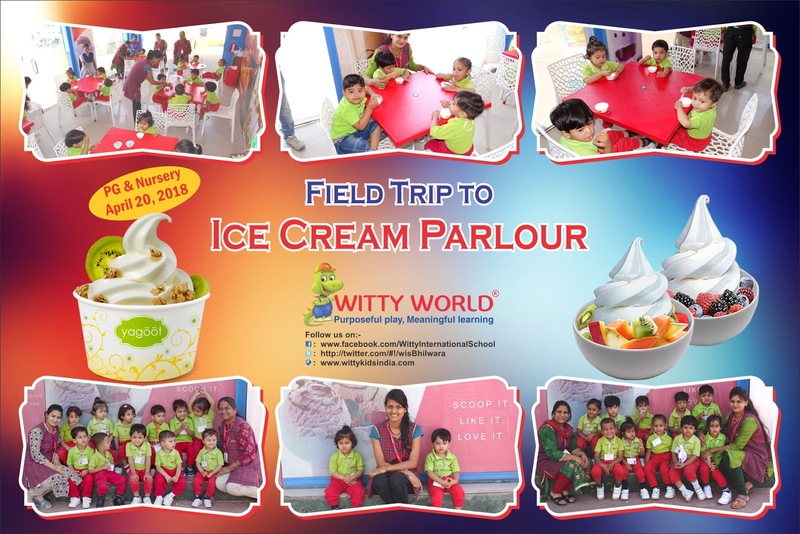 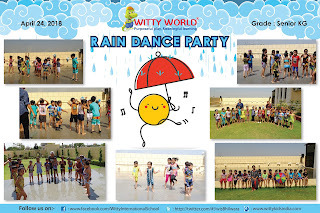 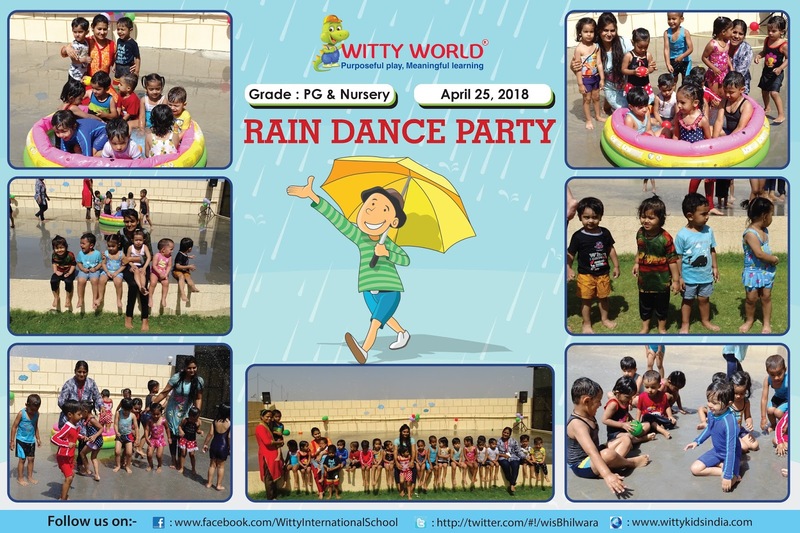 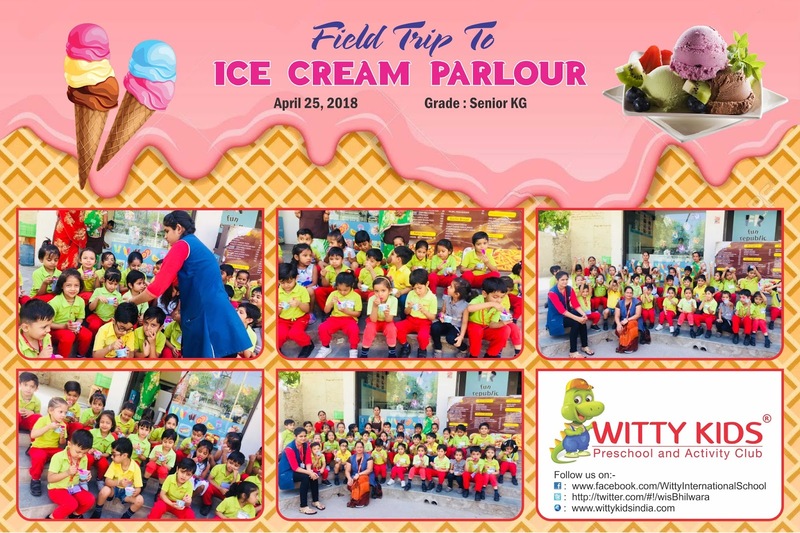 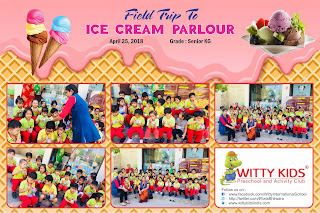 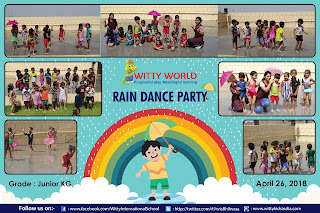 Summer is in full swing and this season to beat the heat Witty World, Bhilwara, organised a lot of fun filled activities for its little ones from April 18, 2018 to April 26, 2018. 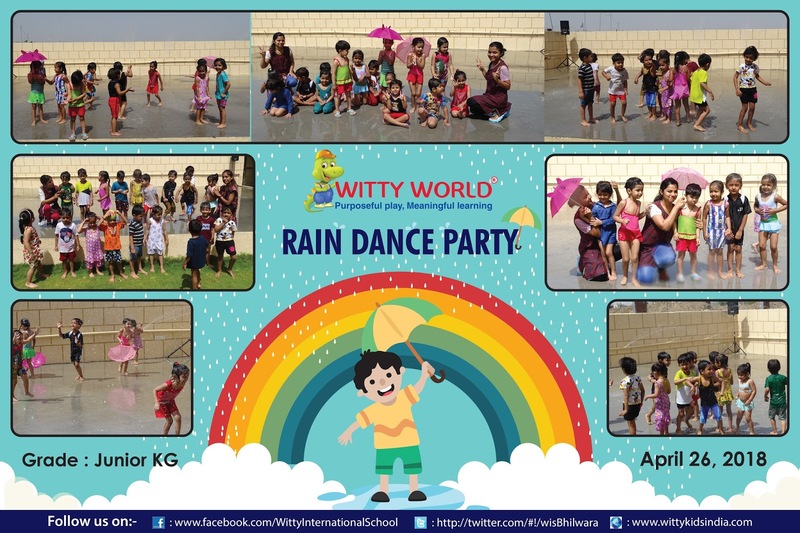 The little angels enjoyed a rain dance party with their teachers and peers. 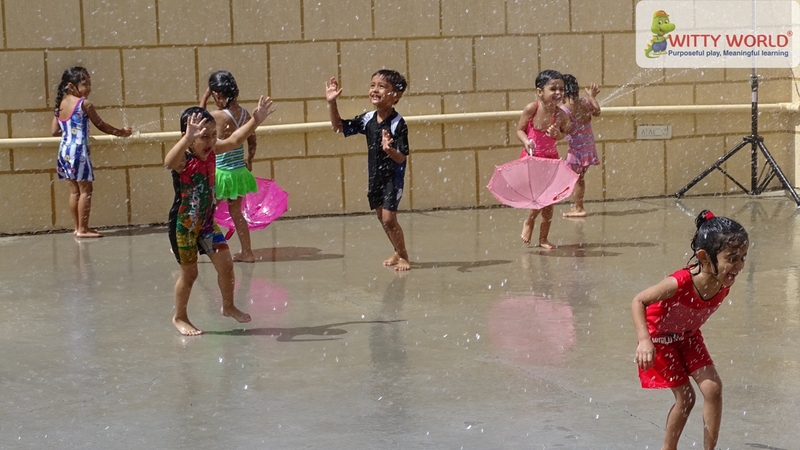 Tiny tots dressed in swimming costumes danced and splashed water in the small pool to beat the heat. Cool sandwiches, water melons were brought by the little ones from home and were relished. The children went to Vadilal ice cream parlour and loved eating the cool ice creams. 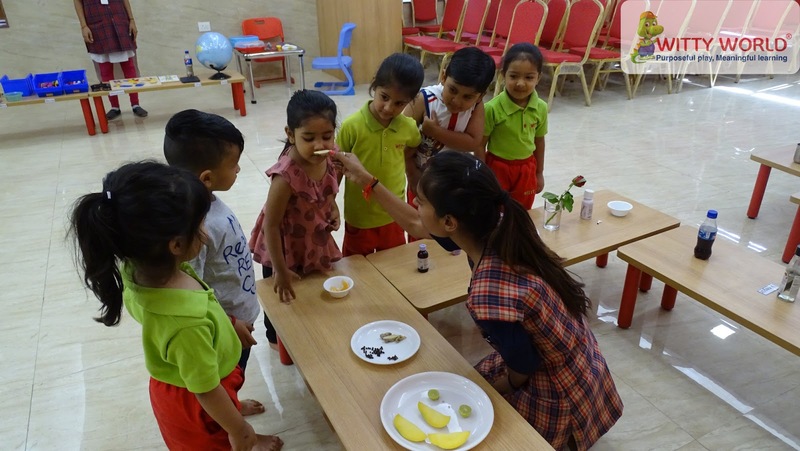 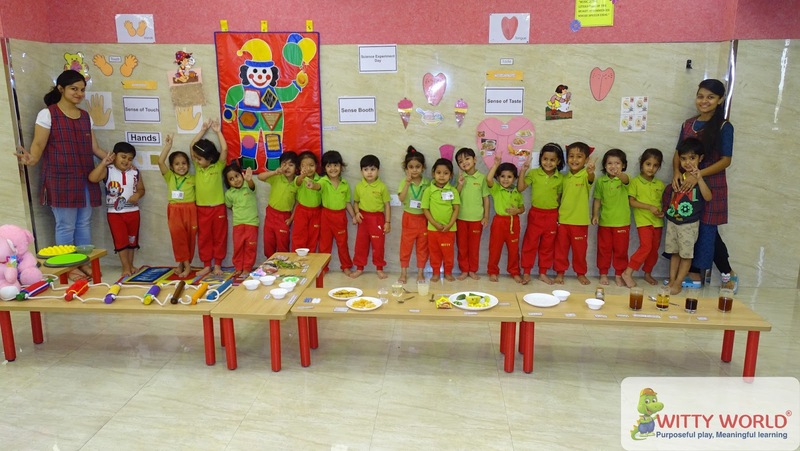 The Playgroup and Nursery toddlers made Rooh-afza with the help of their teachers. 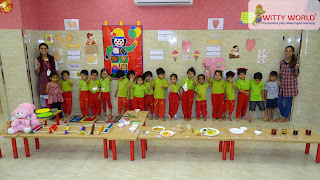 The Senior KG kids had a picture talk on the summer season related to what they wear, eat and use. 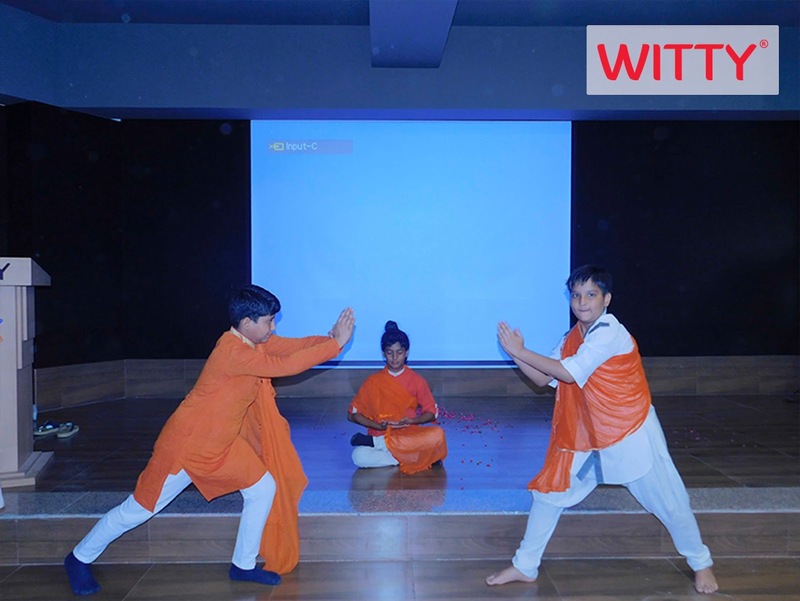 The activities were enjoyed by the little wittians and taught the ways to bear the summer Sun. 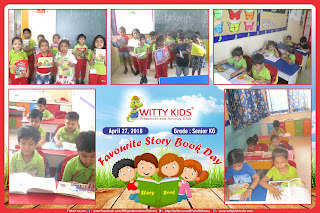 The students read the stories from the story books they brought with them and narrated the same in their class. The teacher also narrated some stories from the books . 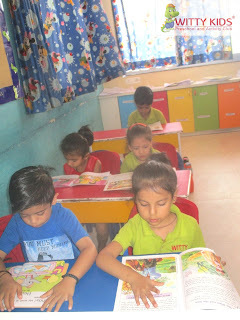 The children enjoyed the story session very much. Children are our responsibility, love them, nurture them and help them to stand for their rights. 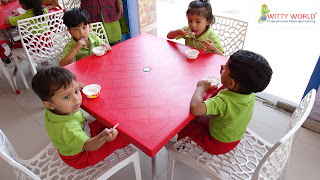 They are our future. 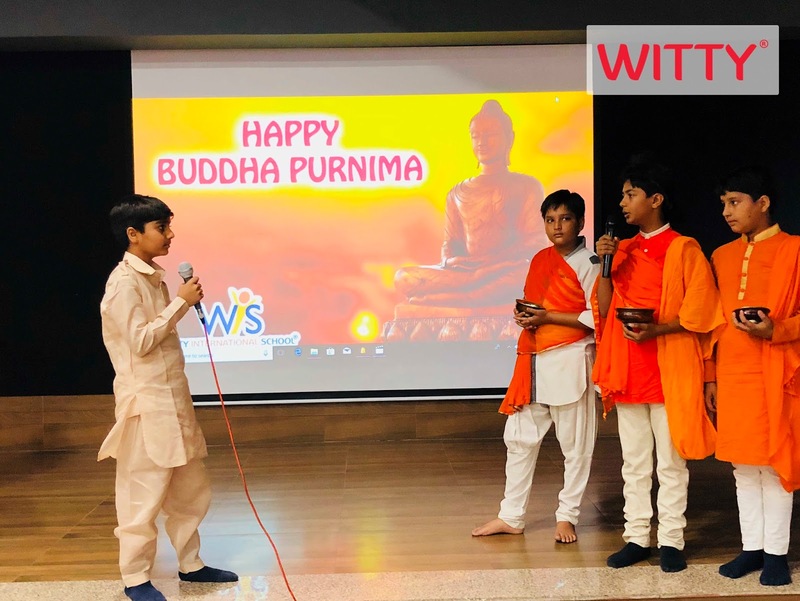 On Friday 27th April, 2018 an informative session was organized at Witty International School, Udaipur to make the students aware about the good and bad touch. 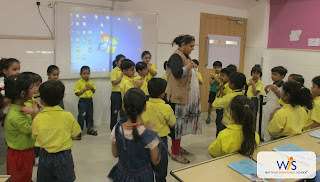 Students of Grade-I were sensitized about good and bad touch with a demonstration and ignorance in this matter can cause serious issues to the children’s development, both mentally and physically. 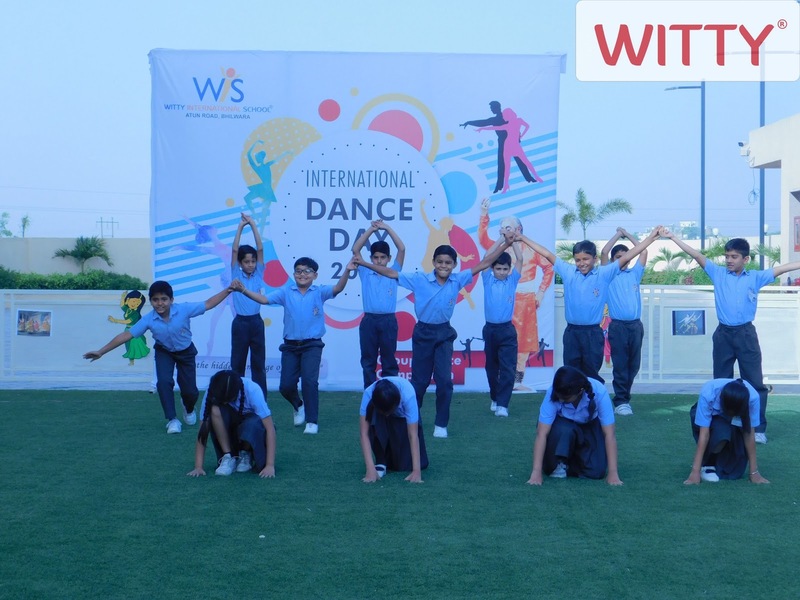 International dance day is celebrated every year on 29 April to promote the art of dance around the world. 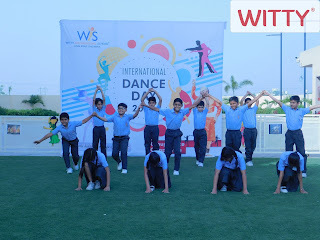 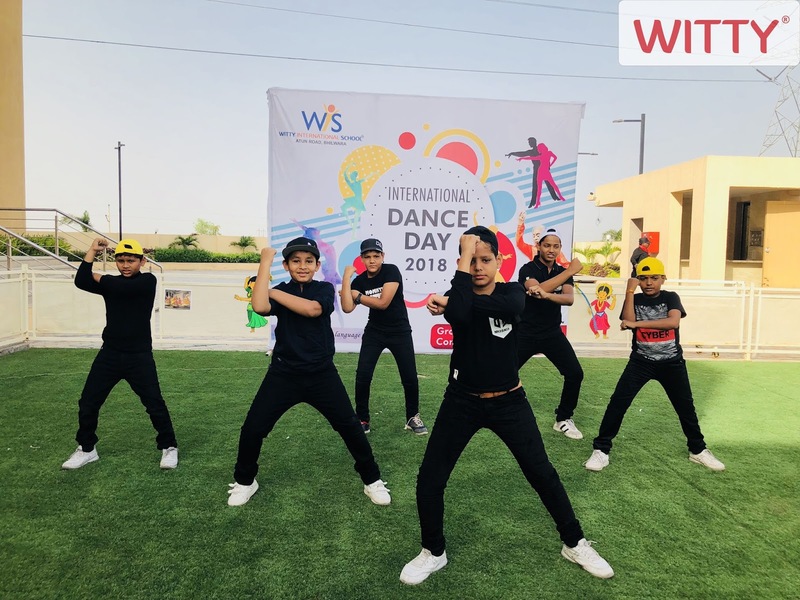 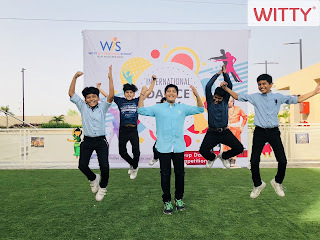 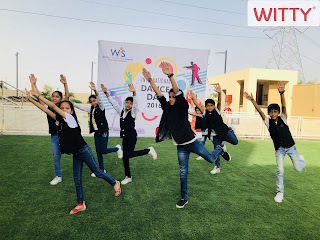 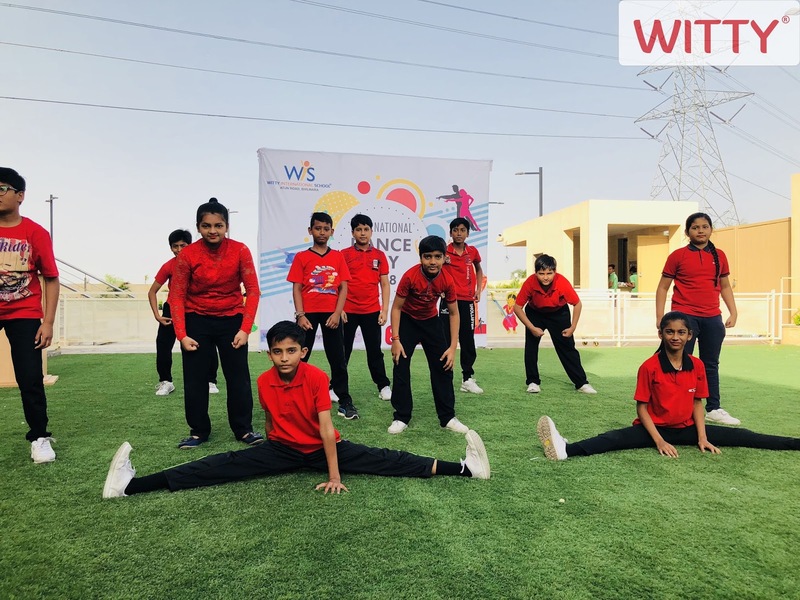 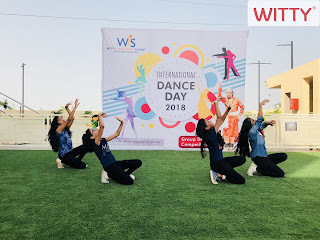 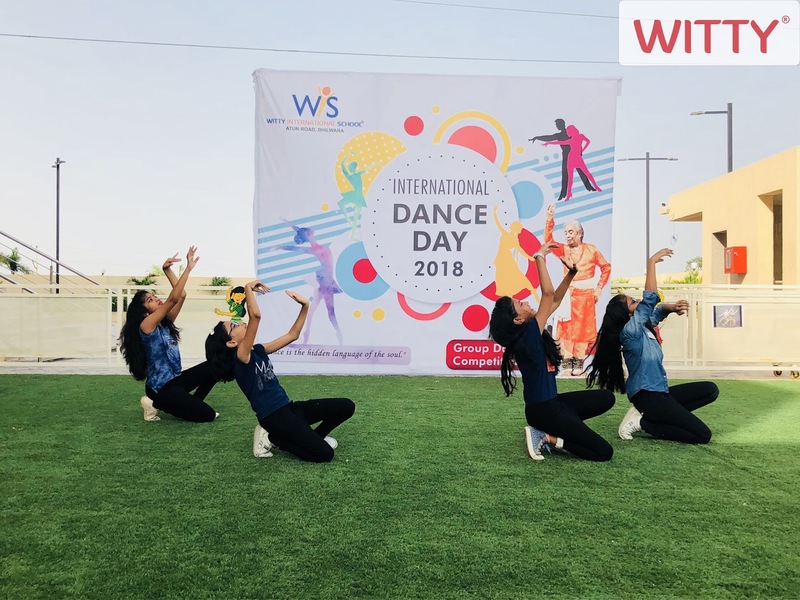 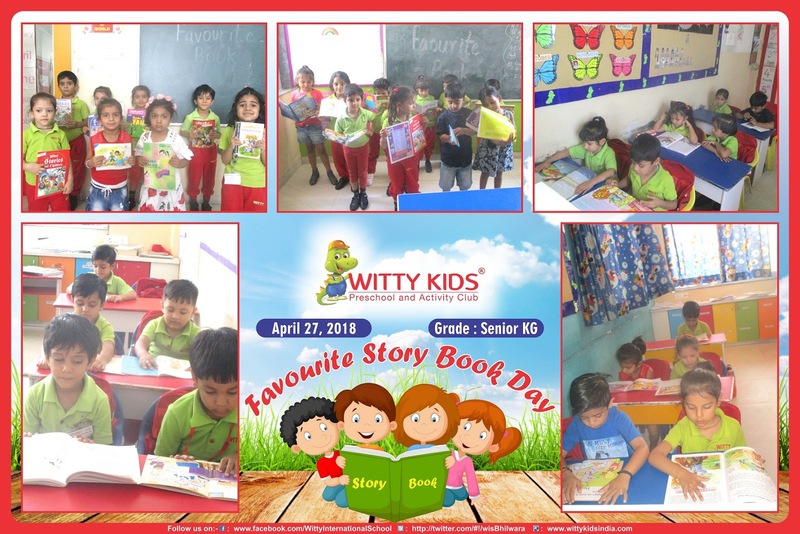 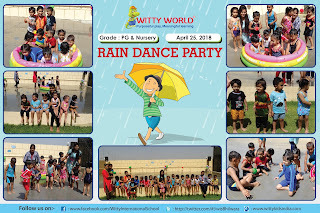 Witty International school, Atun Road, Bhilwara celebrated this day on Friday, April 27,2018 with intense vivacity. 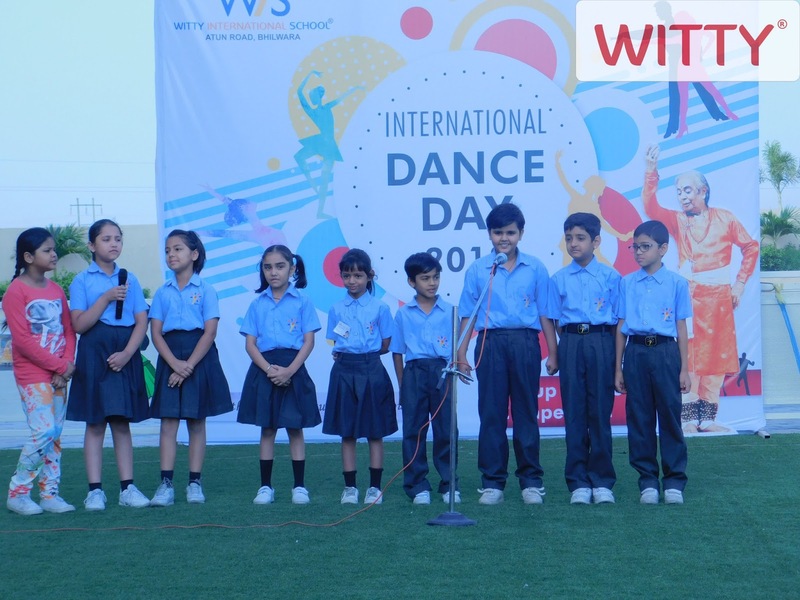 Students of Grade IV to VIII presented varied dance forms like contemporary, Indian classical, hip hop, jazz, krumping, locking popping etc. 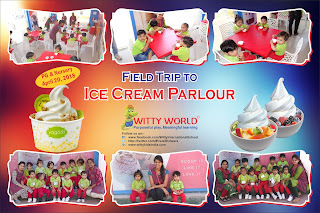 with utmost vibrancy. Through these wonderful dance performances, they conveyed a message that dance is a language that has no meaning no grammar but it is full of emotions, feelings that are hidden inside us. It is the medium of communication through which we can express our feelings to the other people. Everyone was spell bound with the performances. Books play a significant role in our life. 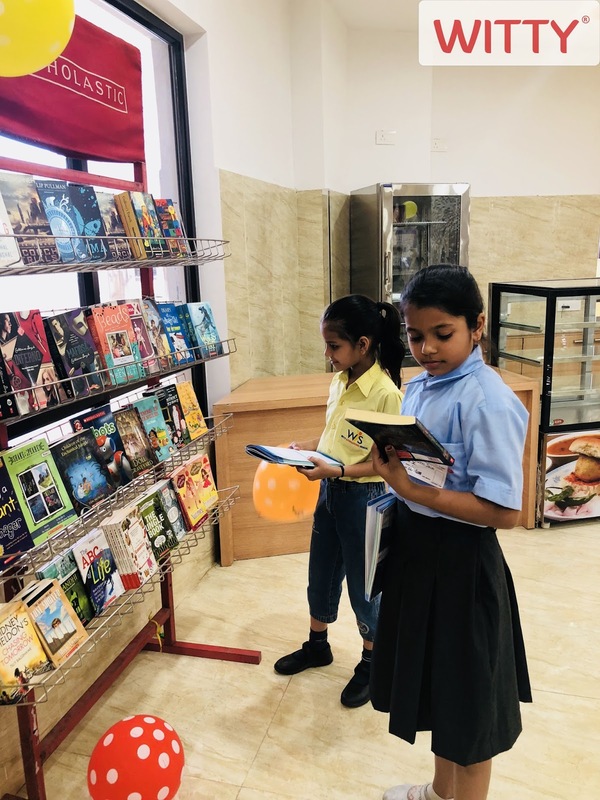 They say that “When you open a book, you open a new world” Books are packed with knowledge, insights into a happy life, life lessons, love, fear, prayer and helpful advice. 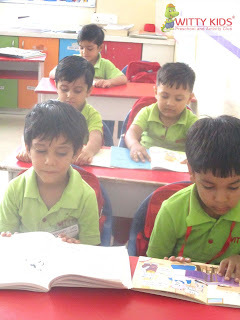 Books play an important role in our life. 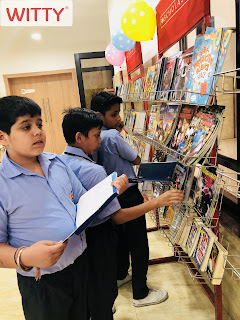 It is said that books are our best companions. 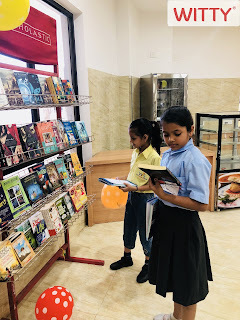 Books are our friends in a real sense. 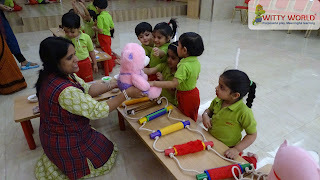 They demand nothing from us. They give us plenty of joy. We also learn a lot from them. 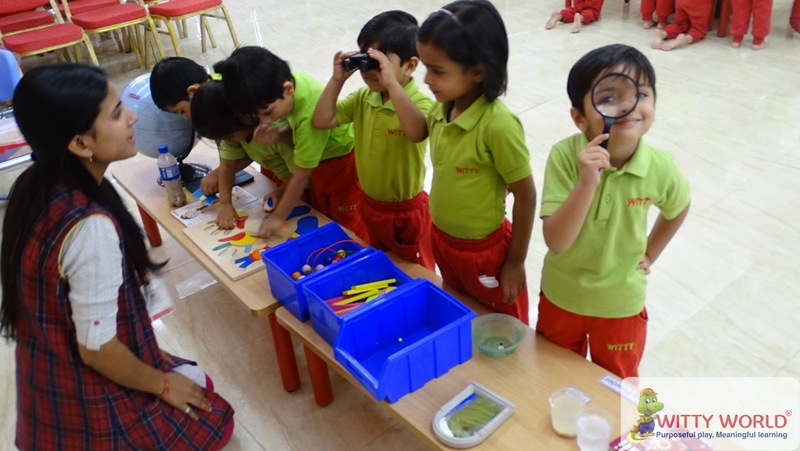 They take us into a different world of imagination. 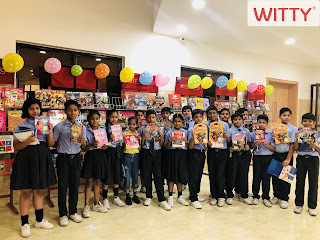 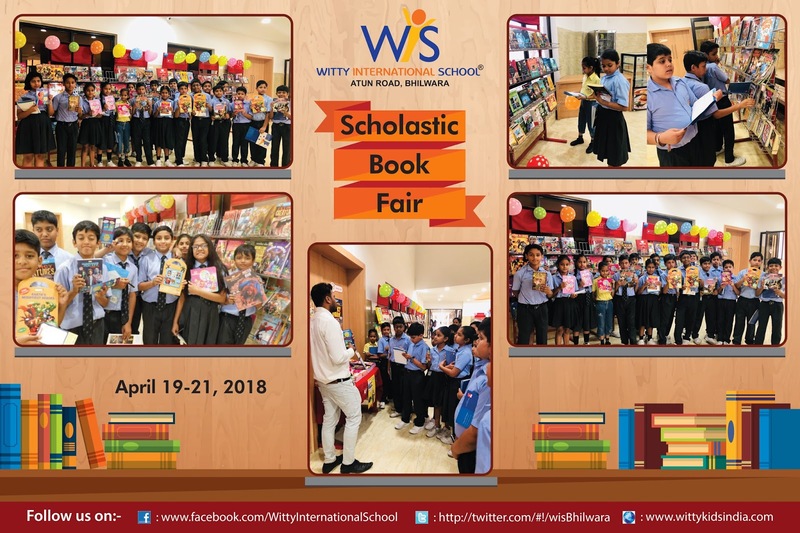 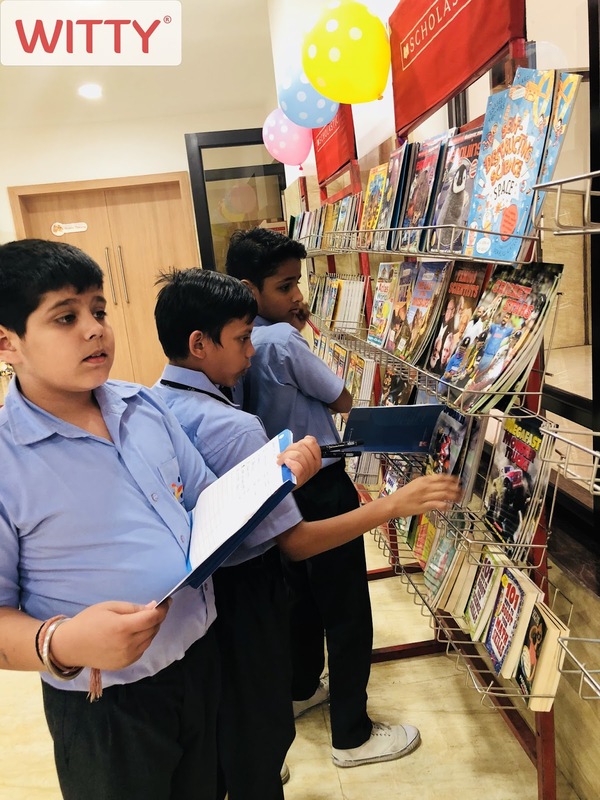 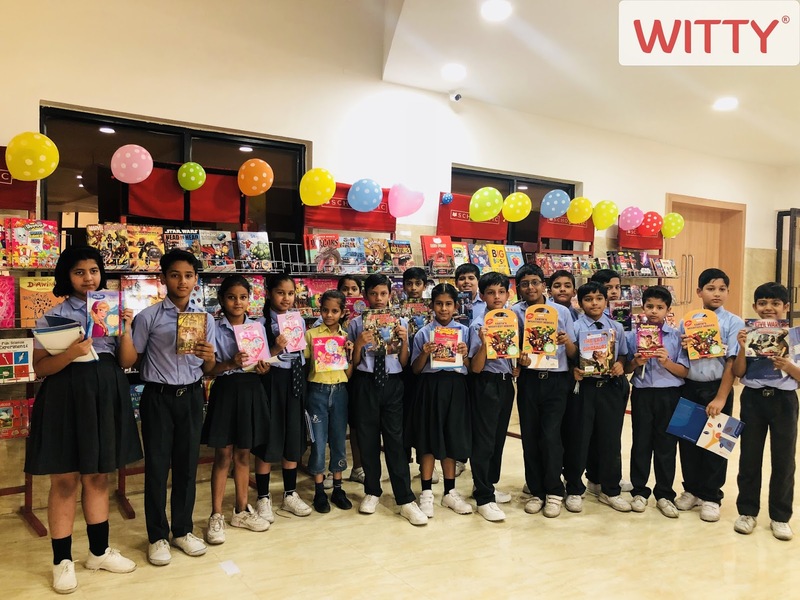 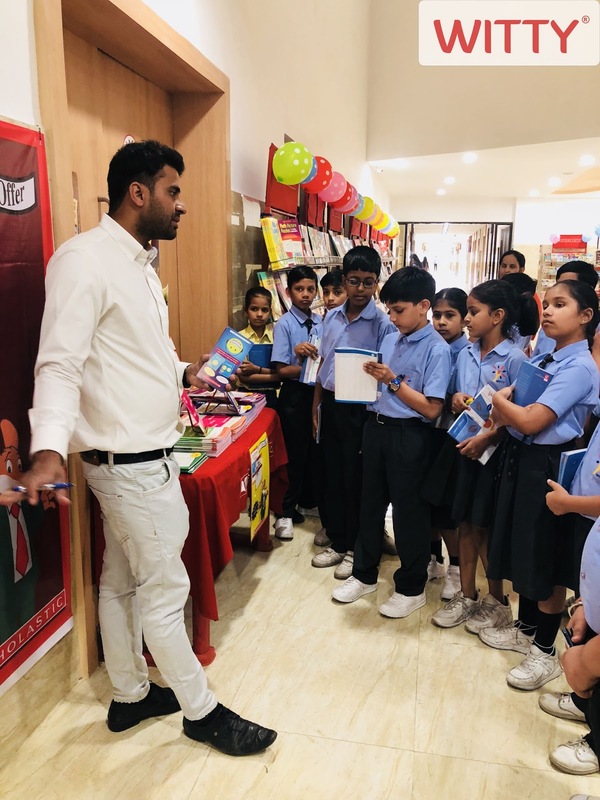 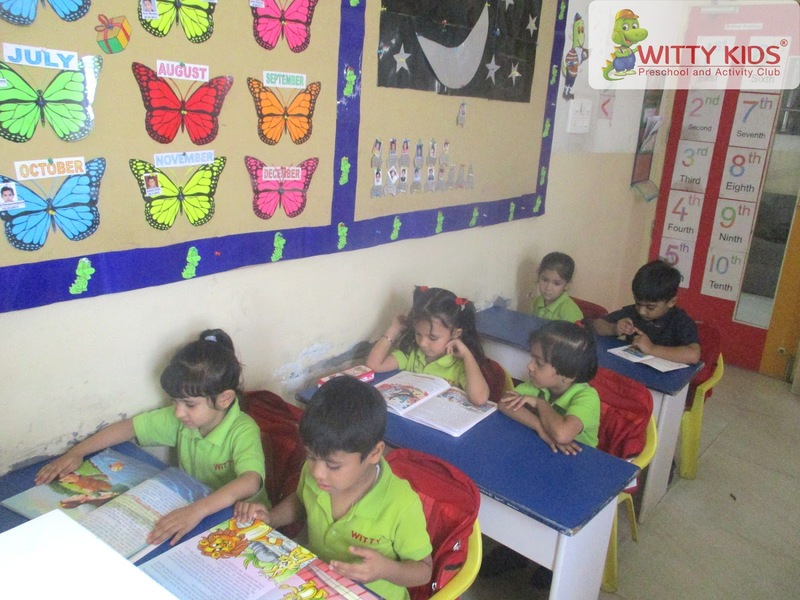 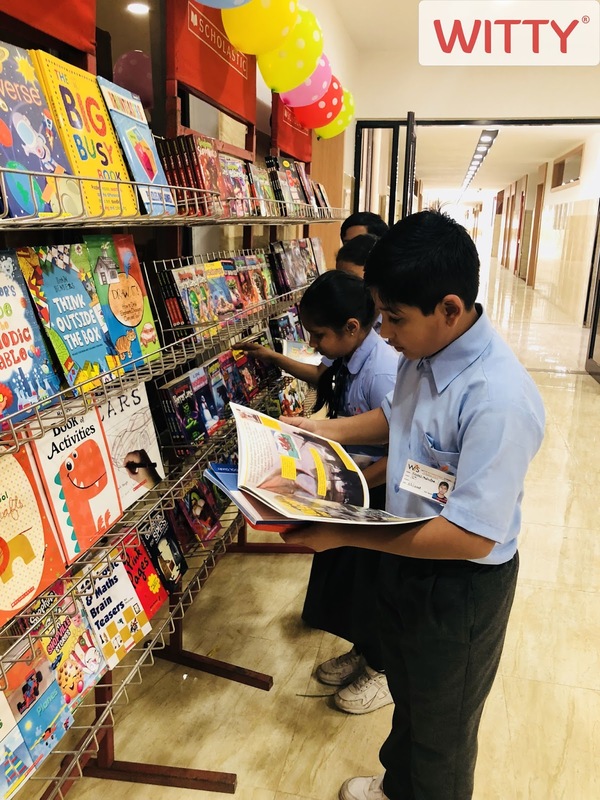 Hence a book fair was organized at Witty International School,Atun Road from 19th April to 21st April, 2018 for the students and parents of Witty. 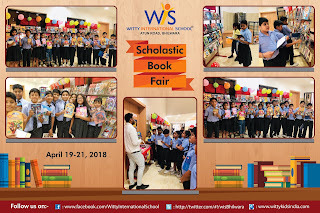 It was a pleasant experience for everyone to browse different kinds of books under one roof. I have them Hearing, Touching, Seeing, Smelling and Tasting too. 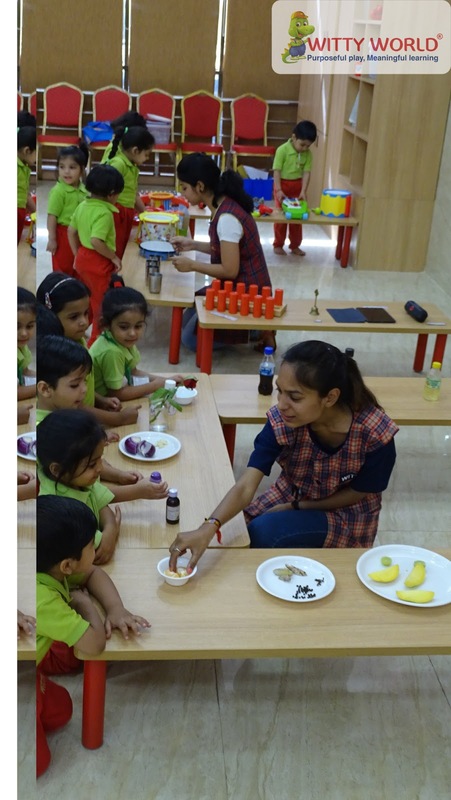 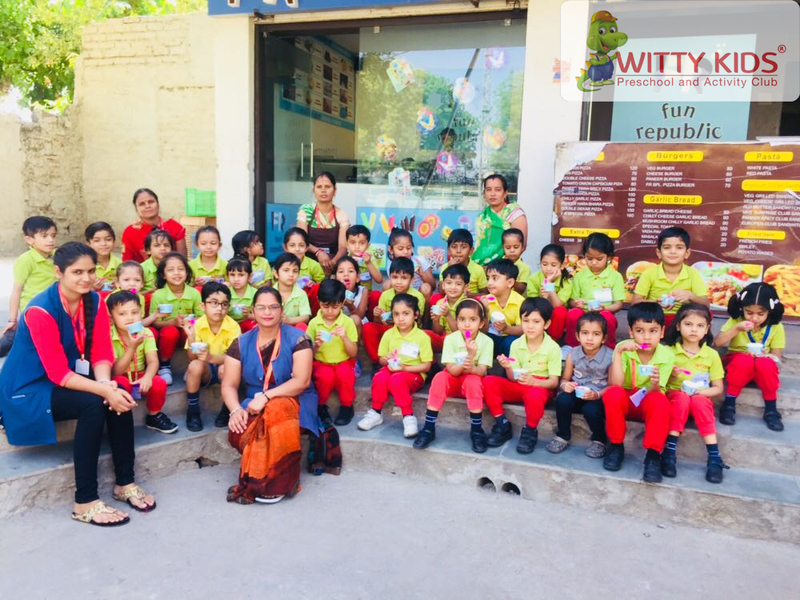 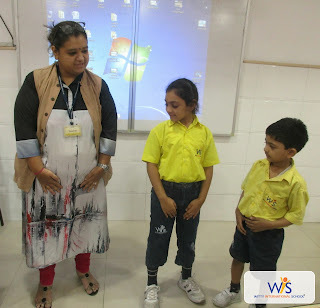 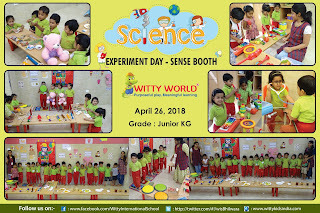 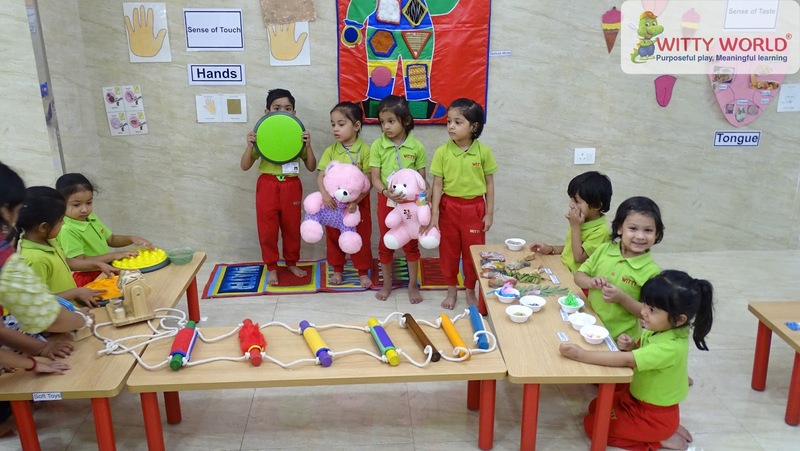 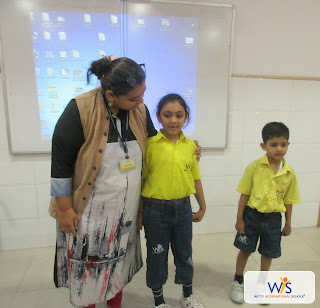 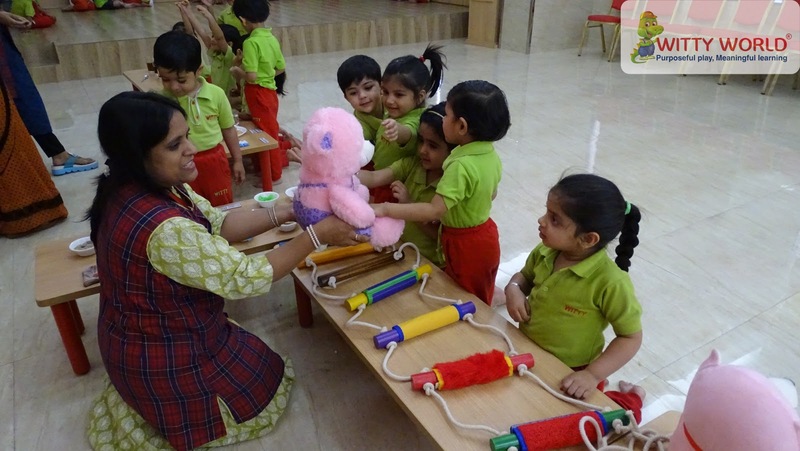 A Science exhibition related to 5 sense organs was organised on April 26, 2018 for the Junior KG kids of Witty World. 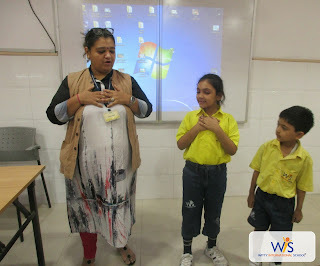 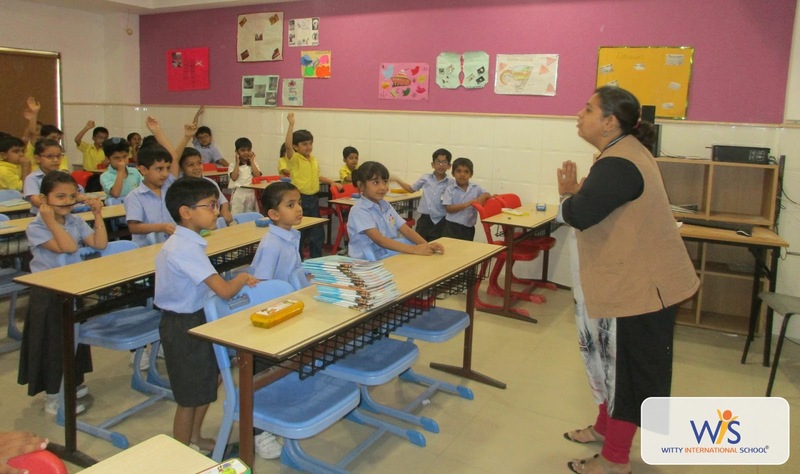 Teachers discussed with the children about their sense organs. Children tasted different tastes like sweet, bitter, salty and sour. 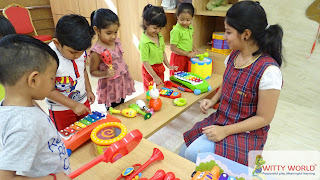 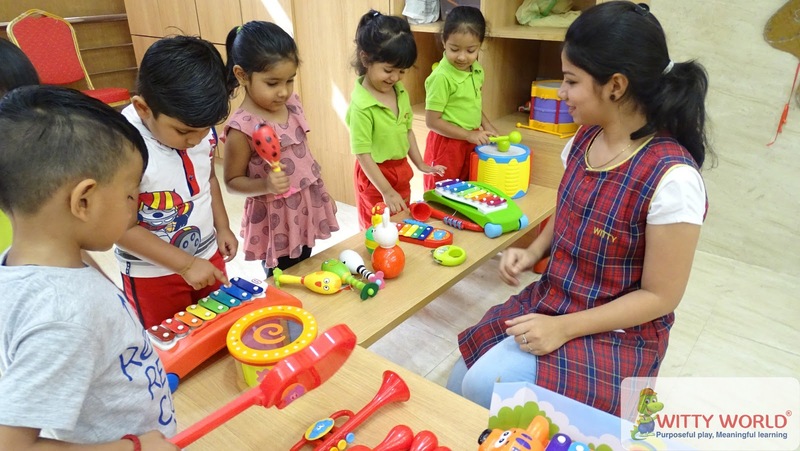 Children enjoyed different music and different sounds. Kids of Junior KG felt the difference of different textures and they saw many things using binoculars and lens and enjoyed a lot in this activity. 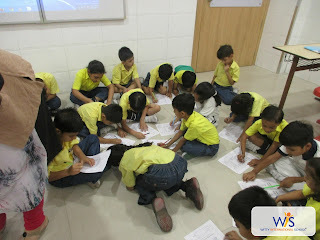 It was a day filled with lots of fun and knowledge gaining for them .